Whatever the occasion (individuals, groups, corporate entertainment, team building, clubs, stag/hen parties) we have the perfect package to suit everyone. We have a range of pricing options to suit your budget. Price inclusive of gun hire and equipment (no paintballs). Price inclusive of gun hire and equipment plus 400 paintballs. Price inclusive of gun hire and equipment plus 600 paintballs. Price inclusive of gun hire and equipment plus 1000 paintballs. Price inclusive of gun hire and equipment plus 500 paintballs. 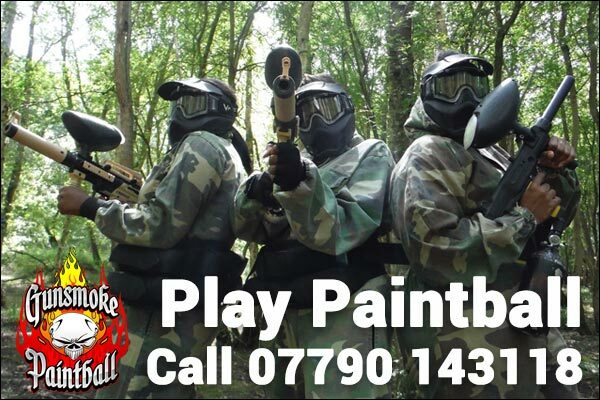 To book your paintball session, you can complete the contact form or alternatively call Julie on 07790 143118 or alternatively email Julie@gunsmoke-paintball.co.uk stating adults paintball booking.